Ovarian cancer patient, Ahmed Mayowa, has been reported dead. Mayowa died on Sunday at an undisclosed hospital in South Africa where she was receiving treatment. One of her relations, Asiwaju Foye, broke the news of her death. On his Twitter handle, @Asiwaju_Foye, the deceased’s relative wrote: “By Allah, in who’s hands our lives is, Mayowa Ahmed has left us in this world. We pray that Jannat becomes her home #RipMayowa. WE contacted the cousin of the deceased, Habeeb Odufuye, who confirmed the death of Mayowa. It would be recalled that Nollywood actress, Toyin Aimakhu had drawn attention of the public to Mayowa (while she was alive) after she solicited funds from Nigerians for her surgery. 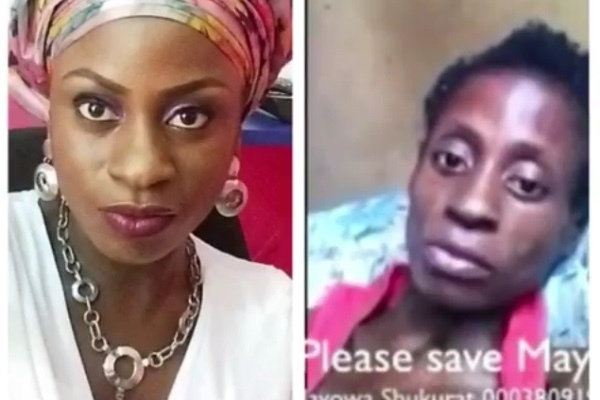 An online campaign was launched to raise money for Mayowa and about N32million was raised. The trending story of Mayowa and her plea for help on the social media raised controversies as there was an allegation that her family used her bad state of health to defraud unsuspecting Nigerians. While the family debunked the ‘false’ accusation, the Lagos State Police Command who waded into the alleged fraudulent fund raising, proved beyond that the campaign was genuine.